Our in-depth knowledge and industrial expertise enable us to manufacture a distinguished range of Heavy Duty Die Punching Machine. • Ensures deep, clear, legible stamped impressions. • Safeguards against mushrooming, chiping and splitting. • Each punch is clearly marked with character designation and size. • Made from high quality, heat-treated tool steel. Die Punching Machine 36" x 46"
2.Three Safety Devices of Seimens. 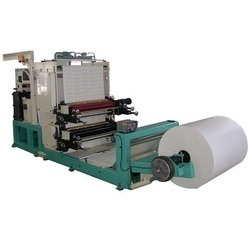 The high grade Heavy Duty Die Cutting Machine offered by us is ideally used for Cutting, Embossing and Creasing. 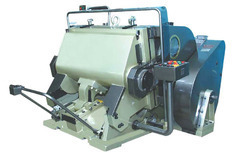 The Heavy Duty Die Cutting Machine that we deal in can be availed at affordable prices and that too with a set of service tools as per the client’s requirements.